There is no shortage of articles claiming that young people do not believe Social Security will be there to pay them benefits when they need it. It is worth taking a look at whether young people actually hold these views, where these views come from, and whether they are accurate. Polls often find that a majority of Americans are not confident in the future of Social Security, and that young people are the least confident. 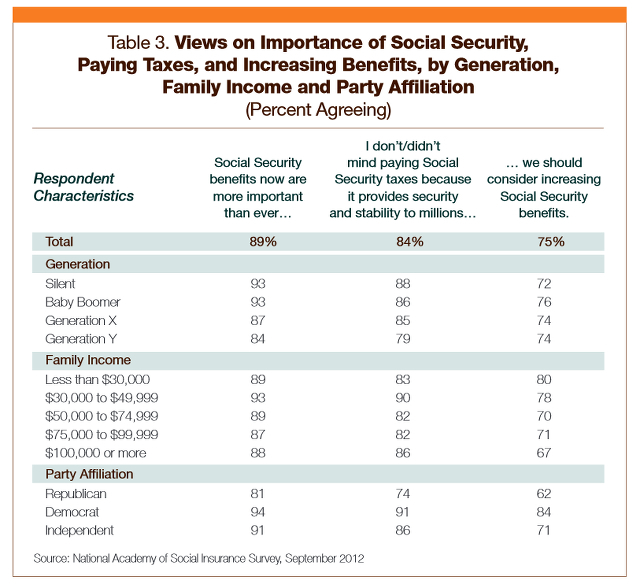 However, this does not mean that people do not think Social Security is important. 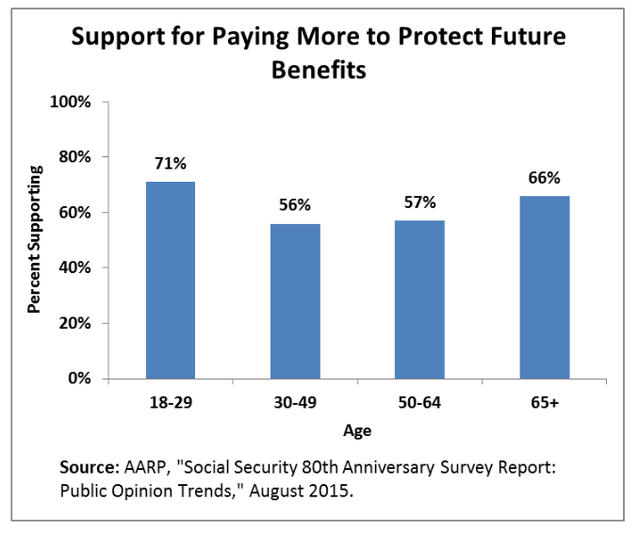 Other surveys show that strong majorities of every generation and all political persuasions think Social Security benefits are now more important than ever, do not mind paying Social Security taxes, and would like to see benefits increased. Some of the lack of confidence on the part of young people is attributable to the fact that retirement in general may seem like a far off and uncertain prospect. 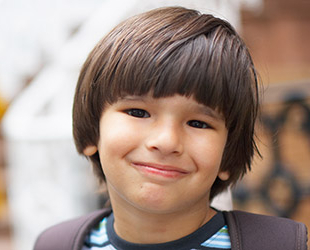 However, Social Security also benefits many young people now, because they are themselves disabled, or because they are the children of retired, disabled or deceased workers. To the degree that young people do not believe Social Security will be there for them, they may simply not trust politicians to do what is necessary to keep the program solvent. Although Social Security has a surplus of $2.8 trillion that is still growing each year, at current tax rates, the program can only pay full benefits through 2033. This projected shortfall is often portrayed in the media as a “crisis” indicating that something must be done to “save” Social Security. These views are often put forward by those who would “save” the program by privatizing it or reducing benefits. The reality is that the projected shortfall, besides being 18 years in the future, can be fixed with a modest increase in the payroll tax. In fact, many sensible proposals have been put forward, such as raising or eliminating the cap on payroll taxes so that the rich pay their fair share. However, even in the absence of such changes, simply raising payroll taxes from 6.2 percent to 7.6 percent for both workers and employers would allow the program to pay full benefits for 75 years. Polls show that when people have this information, the number of people who consider Social Security to be in “crisis” plummets, and that a majority would not mind paying more. Media reports also tend to leave people with an inaccurate impression of what would happen if lawmakers take no action before 2034. Even in the unlikely event that politicians do nothing, Social Security will not cease to exist. It will still be able to pay three-quarters of benefits. How likely is it that politicians will do nothing and allow benefits to be cut? It has never happened, and likely never will. Social Security is the most popular, most successful government program in U.S. history, and is rightly considered the “third rail” of American politics, which politicians must not touch. During George W. Bush’s presidency, he toured the country participating in town halls with the goal of convincing Americans that Social Security should be privatized. Americans didn’t buy it. This year we witnessed an example of political opponents trying their hardest to attack Social Security. Republicans claimed fraud in the Social Security disability program, and vowed not to allow a routine reallocation of funds from the retirement trust fund to the disability trust fund, unless major changes were made. In the end, benefits were not cut, and only minor changes were made. In 80 years, Social Security has never missed a payment, and never added a penny to the deficit. So where does the supposed lack of confidence among young people come from? 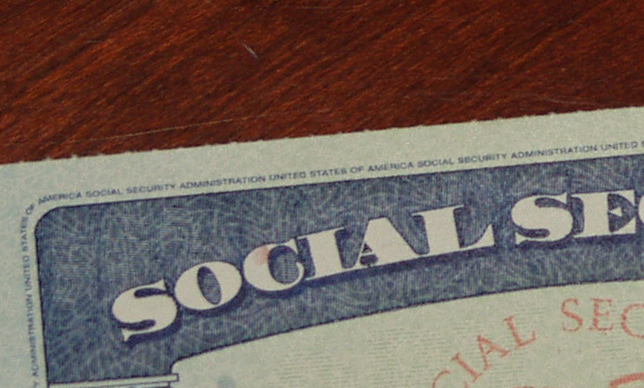 According to economist Teresa Ghilarducci, a key factor is the context of the polling, and whether the young people being surveyed are reminded that their grandparents or parents currently depend on Social Security. The trend of young people not believing in Social Security has been around since the 1950s, and those former non-believers are currently receiving full benefits. Another key factor, Ghilarducci, found, is what political elites say about Social Security, especially the President and Presidential candidates. In that regard, we have Congressional leaders like Elizabeth Warren and Bernie Sanders to thank for changing the national conversation about Social Security, from cutting benefits to expanding the program. Due to recent health issues I am told I qualify for disability retirement through my job (17 years). This particular health issue also qualifies as a ‘fast-track’ reason for social security disability. My question is would I be able to sign up for both or would they affect each other at all? Thanks for your assistance in understanding. Yes, you should be able to apply for both types of benefits. 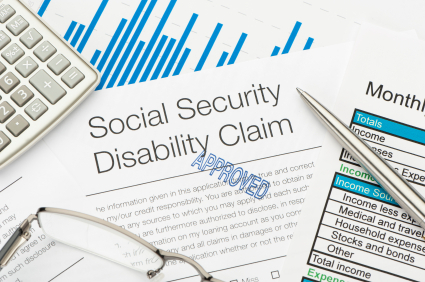 A disability retirement program through a private employer may have a different standard of what qualifies as a disability than Social Security’s standard. As for how they affect each other, generally speaking your Social Security disability insurance (SSDI) benefits would not be lowered because of an employer disability payment, but the employer disability policy may include an offset that prevents you from getting double benefits. Some policies require you to apply for SSDI, and if you are approved, then the employer benefit is lowered by the amount of your SSDI benefits. Check the terms of your policy to find out.